That guy's a weirdo. Nice image though! love the latest post sir! How in the heck did I miss them???? nice man you are really getting good. 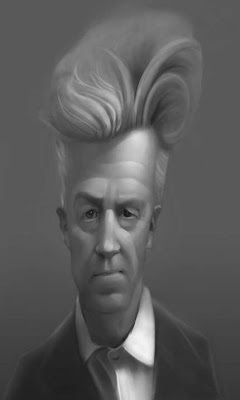 david lynch is pretty awesome huh...if you like crazy people...and we do! very cool man. i guess we do have like sisters. honest and selfless. how lucky we are. awesome handling of light in this! i really admire your concepts. Those are really nice man. I makes me wanna draw more.lol. Hey what medium do you use mostly? By the way, If you have a chance can you come check out my blog and see what you think? Thanks. man those are brilliants portraits, nice work!